TravStar1 Point Of Sale SystemRegister Manual Basic Register FunctionsHow Do I Reprint a Receipt for a Transaction that Was Done at the Register? How Do I Reprint a Receipt for a Transaction that Was Done at the Register? This lesson will teach you how to print a register receipt for a previous transaction. Before attempting to reprint a register receipt, you will need to make sure that your register Status is Idle. 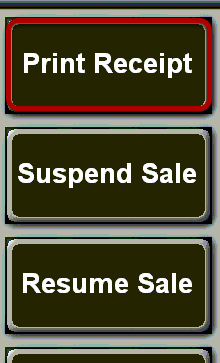 If you have a Sale in Progress you will not be able to reprint a register receipt. 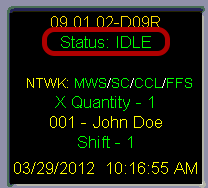 Once you have determined that your register Status is Idle, touch the "Print Receipt" button. This will bring up a list of the previous 100 transactions. Touch a transaction from the list to highlight it. 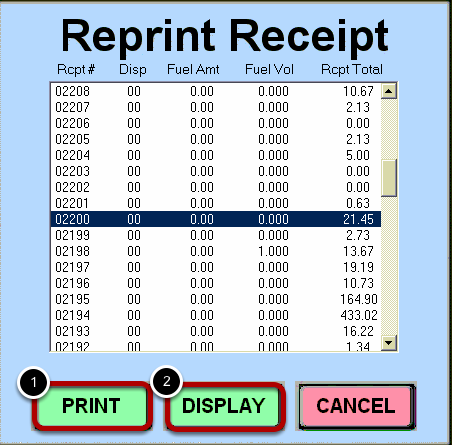 (1) Touch the "Print" button to print the receipt immediately. 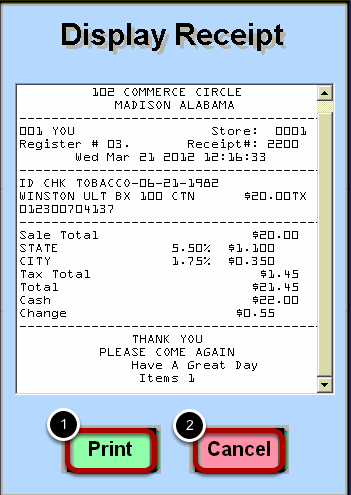 (2) Touch the "Display" button to display the receipt on your register screen. (1) Touch the "Print" button to print the receipt. (2) Touch the "Cancel" button to return to the list of transactions. Prev: How Do I Make A Payment To A House Account At The Register? Next: How Do I Check the Price of an Item?